This photo provided by Limestone County Public Jail shows Tyler Love. An Alabama woman says Love broke into her house, Tuesday, Oct. 16, 2018, and made himself breakfast, took a bath, and washed his clothes. An Alabama woman says a man broke into her house and made himself breakfast, took a bath, and washed his clothes. Mary Royster told WAAY-TV she came home Tuesday and found a strange man who wouldn't leave — he told her he was waiting for his clothes to dry. 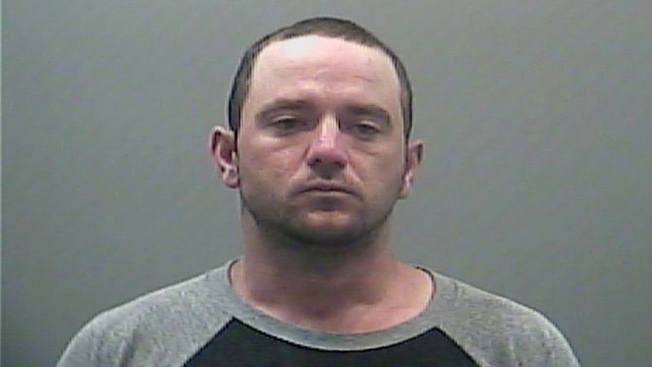 Thirty-one-year-old Tyler Love is now back at the Limestone County jail on a charge of burglary. He had been released just last week after serving time for another burglary. "Every drawer" in Royster's house had been searched through, and Love made himself scrambled eggs, took a bath, shaved and brushed his teeth, she said. Royster said finding the man in her home was scary, but he wasn't violent and she can laugh about it now. Jail records didn't list attorney information for Love.